In 1985, former Congressman Robert E. “Bud” Cramer (AL), who was then a District Attorney, organized an effort to create a better system to help abused children. Congressman Cramer, having experienced frustration and even failure in prosecution of child abuse cases while DA, introduced the model for Children’s Advocacy Centers. 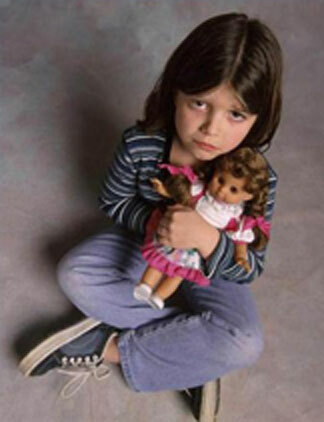 In 1988 the model was adopted by the National Children’s Alliance and, subsequently, received federal funding. In 1997, under the direction of then Lackawanna County District Attorney, Michael J. Barrasse, the concept and need for a Northeastern Pennsylvania regional advocacy center was researched and developed. Since it became operational in 1998, Judge Michael J. Barrasse has continuously served as the Chairman of the Board of Directors of CAC/NEPA. Since 1998, CAC/NEPA has grown its child-abuse intervention team to four medical personnel: three board certified physicians and one Ph.D., CRNP /SANE (Sexual Abuse Nurse Examiner); two child forensic interviewers; a child victim advocate; a family advocate; trauma counselors; and three administrative personnel including the Executive Director, the Associate Director and the Development Coordinator. The CAC/NEPA team members are on call 24/7. In 2017, CAC/NEPA provided 1,676 child abuse intervention services to 839 children & adolescents. These services included: 682 Forensic Interviews 670 Medical Exams & Assessments, 291 Advocacy, Support & Referral Services and Trauma Therapy for 33 Children at our Mulberry Center CAC/NEPA provides an ambitious education program throughout Northeastern Pennsylvania. CAC/NEPA provided training & education to 2,248 adults & 2,941 children in communities throughout NEPA in 2017. In 2013, CAC/NEPA opened the Teen Advocacy Center, the first of its kind in the nation, The TAC – a 1300 square-foot structure located adjacent to CAC/NEPA –provides forensic medical and interview services in an environment designed exclusively for teenagers. The same excellent, multidisciplinary services offered in the CAC are now available to teenage victims between the ages of 13 and 18. The Children’s Advocacy Center is driven by a multi-disciplinary investigative team (MDIT) consisting of professionals from the CAC, the District Attorney’s offices, Children and Youth Services (CPS), Law Enforcement, and Mental Health personnel. Cases are reviewed by the MDIT on a monthly basis. The National Children’s Alliance, requiring that 10 standards of excellence be met, granted (without conditions) full accreditation to CAC/NEPA in January 2006. CAC/NEPA was reaccredited in 2017. During 2014, all Pennsylvania State CAC’s realized their hope to become a line item on the state budget. CAC/NEPA received its first operational funding from the Commonwealth in 2013.